Theo is our first Chief Executive and was previously Director of the Conservative Friends of International Development. She is also an entrepreneur and previously set up and sold her own business. 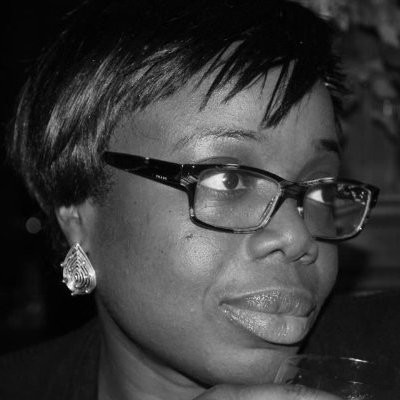 She has led the Conservative Party's social action project in Sierra Leone. Theo has delivered education, enterprise and employability training in several African countries including as a volunteer with VSO, Restless Development, Survivors Fund and Street Child. 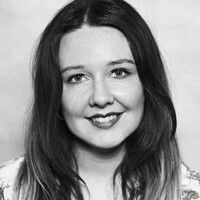 Libby is our Head of Advocacy and Events and has a background in parliament, lobbying and international development. She previously worked on UK and EU advocacy at the NGO WaterAid leading on engagement with Government Departments, parliament and utilising WaterAid’s influential partners for advocacy purposes. Prior to this, Libby worked at the public affairs agency Portland Communications working on high profile clients in the corporate communications and public affairs team. She has also worked in parliament for the MPs Margaret Hodge MP and Emily Thornberry MP. Alex is our Operations and Evaluation Officer. Alex studied Democratic Theory and Journalism as part of his degree at the University of East Anglia, graduating with a First in English Literature in 2016. He was the UK’s youth representative at the World Forum for Democracy 2017 in Strasbourg. He has a background in broadcast television and advertising, having worked with Pinewood Group and Sky before moving into account management. 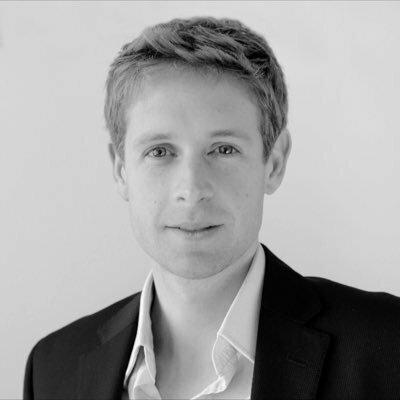 Simon Bishop is Chair of our board of trustees and currently Deputy Chief Executive Officer at Plan International UK. He has also been Special Adviser to the UK Government’s Secretary of State for International Development, an advisor to HRH The Prince of Wales on his charitable activities, and completed a number of roles with The Shell Foundation, The United Nations Foundation and the BBC. As a Fulbright Scholar, Simon completed Masters degrees in International Relations and Journalism from Columbia University and also has a Masters in Economics and Geography from Edinburgh University. James is a partner at the Brunswick group. James joined Brunswick after earning a Doctorate as a Commonwealth Scholar at Oxford University where he also taught Politics. His Doctorate, which made use of advanced econometric analysis to study political behaviour across Sub-Saharan Africa, was awarded the Political Studies Association prize for the best thesis on elections, electoral systems and representation. He is a former President of the Oxford Union and World Universities Debating Champion. Carolyn is responsible for designing and executing the communications strategy for the Bill & Melinda Gates Foundation in Europe and the Middle East. She leads a team who drive communications aimed at raising awareness of the foundation and the initiatives that it supports as well as working with a broader community of external stakeholders to build support for international development commitments from European and Middle Eastern governments. Carolyn has a BA Hons. Journalism and BA Value and Policy Studies from Stellenbosch University, South Africa and is also a Trustee of the Orchid Project, the UK NGO which is campaigning for the end of female genital cutting. Former Special Adviser for UK poverty and life chances to Prime Minister David Cameron, Christian is now the CEO of an international anti-slavery and trafficking NGO. Prior to working in No.10, he was CEO of the Centre for Social Justice think tank, and a speechwriter to its Chairman Iain Duncan Smith. Christian was a member of the UK Government’s Social Mobility and Child Poverty Commission under Alan Milburn, the Assistant Director of Jonathan Aitken’s Westminster Forum, and serves as a Trustee for a number of other UK charities. Mavis Owusu-Gyamfi is Director of Investments at The Power of Nutrition, a charity which helps children to realise their full potential. A political economist by training and private sector development specialist, Mavis has over 20 years experience in international development that include the management of large economic and social development portfolios in Africa, Asia and the Caribbean. She has also served as Director of Programme Policy and Quality for Save the Children UK, and was previously the Head of Profession for Private Sector Development at the UK’s Department of International Development. Mavis is a Desmond Tutu Leadership Fellow with an MPhil from the University of Sussex. Kirsty McNeill is Save the Children's Executive Director of Policy, Advocacy and Campaigns, leading a team of 100+ to influence public policy on humanitarian action, global development and UK poverty. Today she is on the boards of the Holocaust Educational Trust, the Brown Archive Trust and is a member of the European Council on Foreign Relations. She co-chairs the Jo Cox Foundation and is a regular public commentator on power, politics and policy, having written for outlets including the Telegraph, Observer and New Statesman. Tom Cargill is Executive Director of the British Foreign Policy Group, an independent not for profit organisation established to support a more inclusive national discussion on the UK’s place in the world. He has worked in various roles in the public, private and NGO sectors, including at the charity for children in care Believe, as well as 10 years at Chatham House (The Royal Institute of International Affairs) followed by 4 years at the engineering, procurement and construction multinational Bechtel. He is the author of numerous reports, chapters and articles on international and foreign policy issues. Prior to Accenture Development Partnerships, Louise consulted within Accenture’s supply chain practice across a number of industries including chemicals, consumer goods and retail. Bishop Precious is the Archbishop of Canterbury’s Special Representative on Conflict in Sub-Saharan Africa. Before being ordained as a priest in 2002, he enjoyed a 33-year career in the private sector. He started his vocation with church-planting in Lagos, Nigeria. In 2014, he joined the Lambeth Palace team as the Archbishop’s Advisor on Anglican Communion Affairs. He was consecrated Bishop of South Sudan and Sudan in 2016. Bishop Precious is involved in dialogue to end conflict in South Sudan and other regions in sub-Saharan Africa. He also serves in London as an assistant bishop in Southwark diocese and an honorary assistant priest in Morden. Tim has had a long career as a British diplomat, specialising in Africa, international organisations, and trade and investment promotion. He has been Ambassador to Morocco and Mauritania, temporary Head of Mission in the Democratic Republic of Congo, and Ambassador to the Republic of South Sudan during the conflict in that country. He has worked as Coordinator on the Sahel and Special Representative on South Sudan and most recently was Senior Trade Advisor for Africa in the FCO. Tim’s early career was spent working in Japan and Europe and he directed the British Government’s inward investment programme in Japan. He was also Deputy and Head of the FCO’s International Organisations Department. Tim now advises on trade and investment in Africa and conflict and development issues. Myles is the Acting Chief Executive of Wilton Park, a position he took up at the beginning of April 2017. He has had a long career in the Department for International Development and the Foreign and Commonwealth Office. Myles has inter alia been Head of DFID’s European Community and Food Aid Department and Head of the British Development Division in Eastern Africa, responsible for British Government development programmes in Kenya, Tanzania and Uganda. He coordinated the 1997 Government White Paper ‘Eliminating World Poverty: A Challenge for the 21st Century’; served on the Board of the World Bank (and as Development Counsellor at the British Embassy) in Washington; and was British Ambassador to Ethiopia, Djibouti and the African Union. He was from early 2004 to late 2005 Head of Secretariat to the Commission for Africa (CfA). The Commission’s Report ‘Our Common Interest’ formed the basis of the G8 Gleneagles Communique on Africa.